In Ubuntu, your windows partitions do not mount automatically by default. You need to configure it. And you must be already familiar with the long, boring command line way of automatically mounting your Windows partitions that involves editing a file called fstab. In this article we will tell you about a nifty GUI based tool called PySDM that makes configuring your Windows partitions to mount automatically (without editing fstab) a child's play in Ubuntu. PySDM is a GUI based tool that allows full customization of hard disk mount points without manually access to fstab. 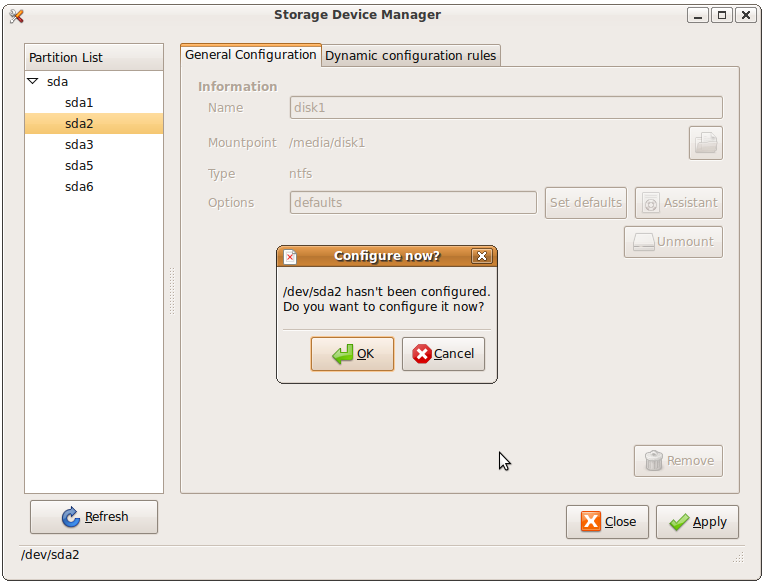 This includes creation of mount points and configuring auto-mount of required partitions. 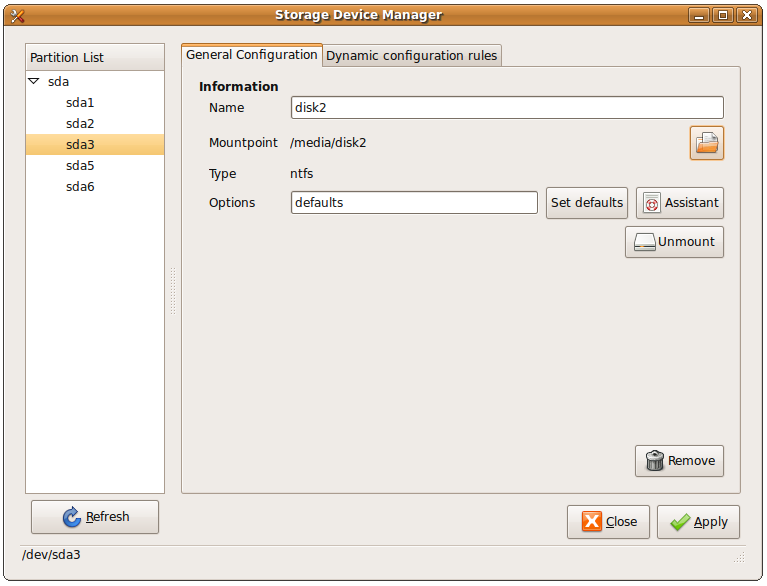 The SDM in PySDM stands for Storage Device Manager. As of now ext2, ext3, fat, ntfs, reiserfs, swap and xfs filesystems are only supported. It also allows the creation of udev rules for dynamic configuration of storage devices. Packages for and installation instructions for other distros can be found here. You can start PySDM from the command line using the command sudo pysdm or from the system menu: System > Administration > Storage Device Manager. This would mount all the configured partitions automatically only for the Super user, In order to have PySDM mount partitions automatically for all users, you should read this guide.